Investing in New York real estate is a big step! Before making any purchase, learn about these 7 things investors need to know before buying property in New York! 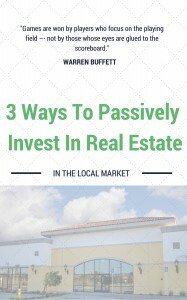 Whether you are a seasoned investor or you are getting ready to make your first purchase, it important to educate yourself as much as possible about investment real estate and what you could potentially be in for. When you work with Sell Now Realty Group, we will fully educate you about the property you wish to buy and how to make it profitable for you! Here are just a few things to consider when buying the right investment property for you in New York. You will obviously also want to know about real estate conditions in the area. What are houses selling for? Renting for? How long are they on the market or sitting vacant? Take into account these numbers before buying your investment property in New York. When making an investment on a New York property, it is imperative you have a good team around you who can help you with the process along the way. Some key people to have in your life are a good accountant, a property wholesaler, an attorney you trust and a network of other investors you can turn to for advice. Often times, some of the best deals can be found from other investors. They will know that you mean business and will also want a quick and easy transaction. Sell Now Realty Group is a professional property buyer in New York, with continuous great deals in our inventory. By working with a company like us, you will be able to receive a great deal and full transparency in the transaction.